Non-competition and non-solicitation agreements can be useful tools for companies trying to protect their key client relationships and confidential information. Enforcing these agreements, however, can sometimes be difficult, given the law’s general disfavor of them. A recent Minnesota Court of Appeals case illustrates how a thoughtfully drafted non-compete can protect a company in the event that a former key employee begins competing with his former company. In Lapidus v. Lurie LLP, a former name partner of a well-known Minneapolis accounting firm was found to have solicited former Lurie LLP clients in violation of a non-compete provision within a partnership agreement. 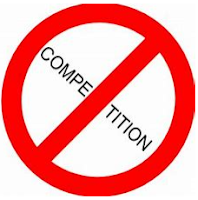 The non-compete prohibited the former partner, Lapidus, from rendering any of the 112 services (as specifically listed in the non-compete) that Lurie LLP provided to any client that was serviced by Lurie LLP during the two years prior to Lapidus’ retirement. The non-compete also tied Lapidus’ compliance with the non-compete to his receipt of valuable retirement payments worth $90,000 a month over a 10-year period. Notably, the non-compete provision in the partnership agreement was revised in 2005 after an arbitrator refused to enforce the previous version against a former employee who went to work for a competitor, finding it to be too vague. Even more notable is the fact that Lapidus himself was instrumental in revising the partnership agreement to include the newer, more restrictive non-compete language. Following his retirement in 2014, Lurie LLP sued Lapidus to enforce the terms of the non-compete based on evidence that Lapidus had provided accounting services to three Lurie LLP clients. The trial court found that Lapidus violated the terms of the non-compete, entering a $2.4 million judgment against Lapidus for past and future damages to Lurie LLP client relationships. The trial court also ordered Lapidus to pay Lurie LLP 25% of all revenue received from the three Lurie LLP clients for both past and future work (as required by the non-compete) and relieved Lurie LLP of its obligation to make any remaining retirement payments to Lapidus (as would have otherwise been required by the non-compete). Lapidus’ lost retirement payments totaled roughly $10 million. Lapidus appealed, and the Minnesota Appellate Court affirmed the trial court. The Appellate Court found that the non-compete was reasonable to protect Lurie LLP’s legitimate business interests, which included customer goodwill and confidential information. Such interests were particularly strong as applied to Lapidus, because, according to the Appellate Court, Lapidus had built “strong and longstanding relationships with many clients” and had access to confidential information in his former position as administrative partner and a member of the firm’s executive committee. The Appellate Court also found that the 10-year period of the non-compete (which coincided with the length of time Lapidus was scheduled to receive retirement compensation from Lurie LLP) was reasonable, because the nature and extent of Lapidus’ client relationships was so great that it would take years for a different Lurie LLP partner to assume the same level of trust that Lapidus had with these clients. This case should be a cautionary tale for employees with significant client and customer relationships who choose to ignore their non-competition and non-solicitation obligations. Many former employees brazenly believe that their former employer will not have the wherewithal to file suit against them, and even if the employer does, they will be able to invalidate their non-compete. To ensure maximum protection of their most precious relationships and trade secrets, employers should take care to draft specific, narrowly-tailored agreements for key employees that clearly protect their legitimate business interests.